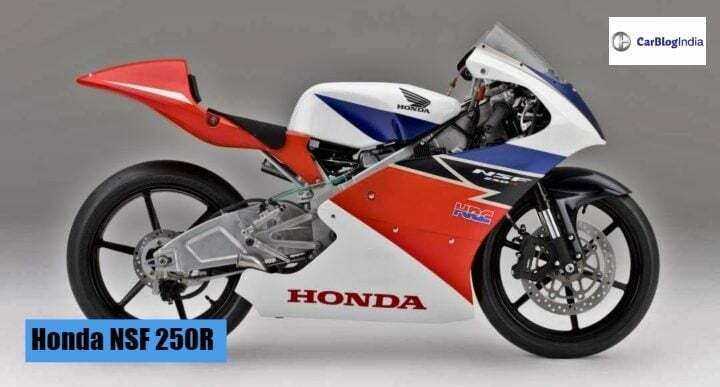 Honda is going to start an Elite Racing Championship from 2019 by bringing its racetrack bike, Honda NSF 250R. This bike is Honda’s internationally acclaimed Moto3 race machine. It aims for the development of Indian riders. It will hold different competitions for the championship cups. For the Elite Racing Championship, Honda 2Wheelers is going to host some different championship cups. The Thai Talent Cup is a platform for young talent to compete against Asia’s best racers. The Asia Road Racing Championship is the most competitive road racing championship of India. Honda Asia Dream Racing will take Asia’s best to Suzuki 8 hours Endurance Race and JSB100 class of All Japan Road Race Championship. The IDEMITSU Honda Team Asia will take the best of Asian riders to compete against world’s best up to Moto2 Championship, Lastly, Honda Team Asia Cup for promoting Asian riders in Moto3. It also brings the Honda NSF 250R, a purely bred superbike. Earlier, Honda had started Honda One Make Race series. Check out more details about this event. The Honda NSF 250R comes with a 249cc engine, which is assisted by a RAM air intake. This helps the motorcycle to obtain high power output even in hot conditions. The superbike has a low centre of gravity and combined with an optimized swingarm. It gives the bike the right amount of flexibility for precise handling abilities. For the success of the Elite Racing Championship, the Honda has created 3 new teams exclusively for Asian riders in the international championships. Honda Asia Dream Racing will compete in the historic Suzuka 8 Hours Endurance Race and JSB1000 class of All Japan Road Race Championship, the most premier road racing championship in Japan. The second team, IDEMITSU Honda Team Asia is a platform for Asian riders in Moto2 and Honda Team Asia in Moto3 class of FIM Road Racing Championship. From these two classes, a Moto GP does not seem a distant dream. Honda 2 Wheelers India began this motorcycle racing in 2008 with Honda One-make Race series. Earlier, the racers got access to several world-class racing bikes, like the CBR 150R and the 250R. For young racers, Honda introduced Honda India Talent Hunt Programme in May 2018. After getting selected, the riders are trained in Honda’s racing academy to come with India’s best riders. Then, selected riders compete in Honda India Talent Cup – CBR 150 Class.